Assessment – A thorough documentation of the existing VFP system is required to determine the size and scope of the project, understand the overall application and its business implications. Use an assessment tool to analyze the FoxPro application to understand issues and estimate the approximate cost and effort. Planning – Prepare a project plan by determining the scope and migration requirements. Elucidate maximum information about the application by individually examining each section and understanding the functions required to convert the application. This varies depending on the project requirements with some needing a direct conversion to its .NET equivalent or a complete rewrite of the application. 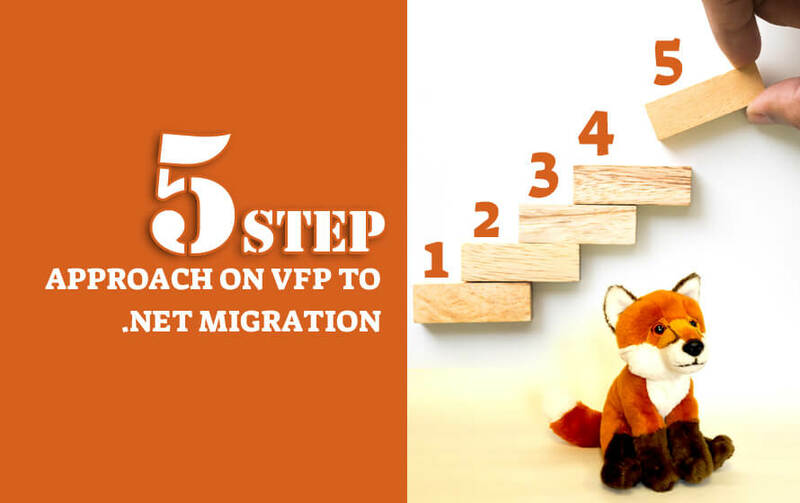 Strategy – Establish a migration strategy that best suits conversion of the VFP application. Application can either be rewritten as the original system with a provision for enhancement or replaced with enhanced functionality taking advantage of the latest .NET framework. This is considered based on the revisions in the existing application and ongoing changes to the business. Budgeting – Asses the amount of effort required for converting each of the functional parameters of the application. It is necessary to sample each type of conversion and estimate the time required to complete the conversion. Measuring the time required to convert each of the forms will facilitate arriving at a more accurate estimate. Testing – It is of utmost importance to test the resulting conversion when it comes to performance of the converted/enhanced application. Testing is performed at every stage of the conversion process to ensure the new functionalities match with the old ones. Application is thoroughly tested to verify each corrective action is effectively implemented. Would you like to analyze your VFP application and generate a summary report for FREE? It is tempting to discard a legacy system and rewrite it from scratch. Re-implementing VFP functionalities in .NET is the cleanest thing to do though it may take more time. It is a daunting task when it comes to migrating entire code to another language ensuring similar results. As the business changes in real-time the new system has to be replicated and modified simultaneously, which in itself is like aiming at a moving target. One of the main hurdle is ensuring that all features are duplicated and the new system is feature complete. Macrosoft with a proven client testimony have successfully helped many businesses migrate their outdated VFP application to .NET. If you are looking for a dedicated migration partner to migrate your outdated VFP application then we would be glad to provide you an obligation-free evaluation of your application.